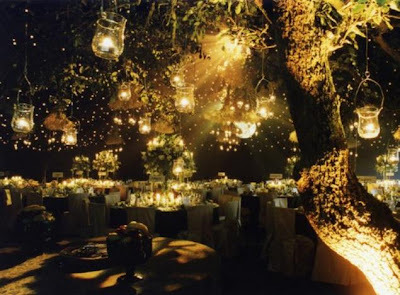 The idea of this wedding design, is that you can have a smaller wedding - say around 30 guests - and host it in your own backyard. Keeping the details simple... without losing any of the beauty. I love the idea of this and, in another life, I would do it this way myself. 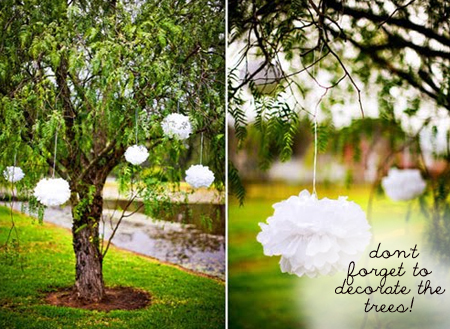 The colour scheme is flexible, forgiving, and goes perfectly with the greenery you will be surrounded by! 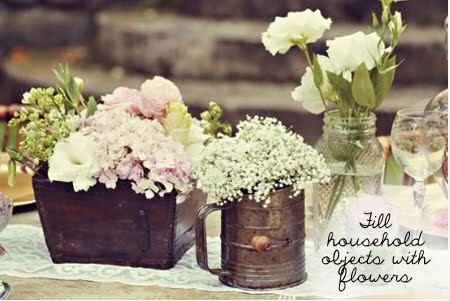 I would grow the flowers myelf as they don't need to look "perfect" to pull this off - infact any flowers that you, your friends, and your in-laws have in their gardens will do fine. Containers can be collected, thrifted, and found around the house. 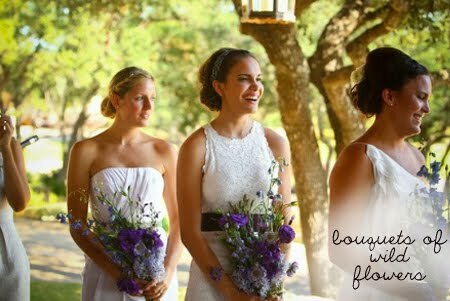 The absolute beauty of this style of wedding is you can do whatever you want! My wedding was at a stunning garden venue but we weren't allowed any decorations (a litter risk). I would have loved to decorate the trees! Don't get too overwhelmed by decorating tables - cover some simple trestle tables with cloths and let the flowers and candles do the talking. If you can rustle up a chevron runner... all the better! A few sparklers on each plate setting is all you need for favours. 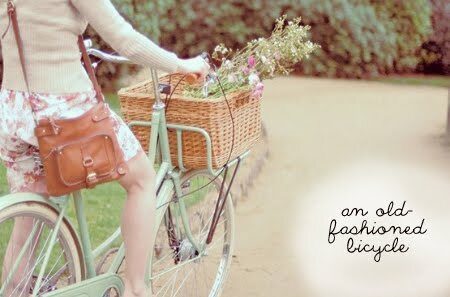 I love this colour of ribbon and simple tag! 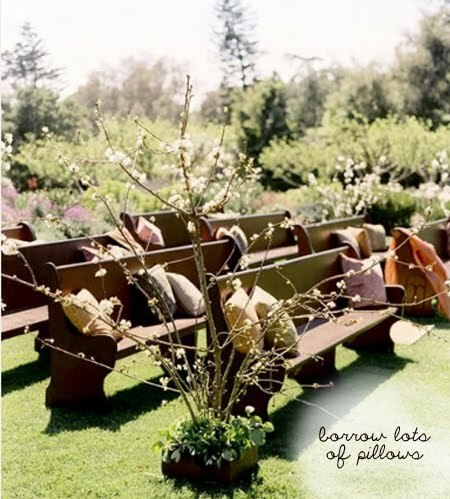 When it comes to the ceremony, lay out all the chairs and benches you can get hold of (they don't have to match) and then..
Heck, you could even ask guests to bring their own pillow! I think that would be kinda fun....or even forget the chairs, and lay out rugs and blankets on the ground. Gypsy style - booyah! 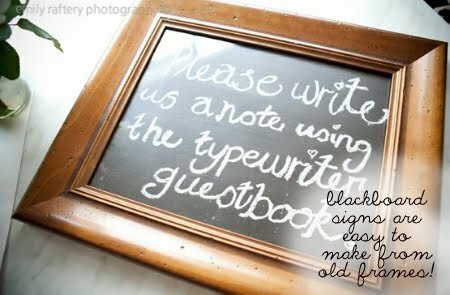 I would keep it simple by painting over some thrifted pictures with black paint, then chalking my note on! 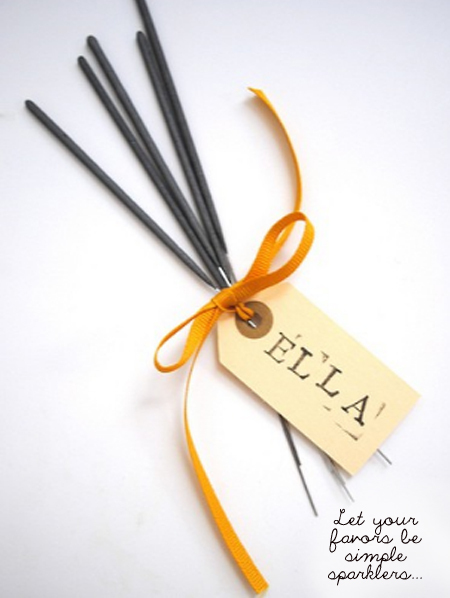 You could use this for a seating chart (if you really need one) and a welcome sign too. It may seem a little random, but since you're in a backyard, how cool would an old-fashioned bicycle look up against a tree? If you are happy with it, let guests ride around on it for fun - and provide a few other easy garden games like petanque. Here comes the bride... with casual bouquets picked that morning. I can just imagine the bridal party being happier and more relaxed in this intimate, friendly setting. I would go rather neutral for the bridesmaids dresses, but the colour scheme is so flexible you can do what you like - even skirts and a top. Turn on your lanterns or fairy lights over dinner, and light the candles. I secretly love a good send-off. Something about having people wave goodbye to you all at once makes you feel really blessed to have them all there with you! Would you consider a smaller wedding, or having it at your own place? Can I get married again ha? Gorgeous! 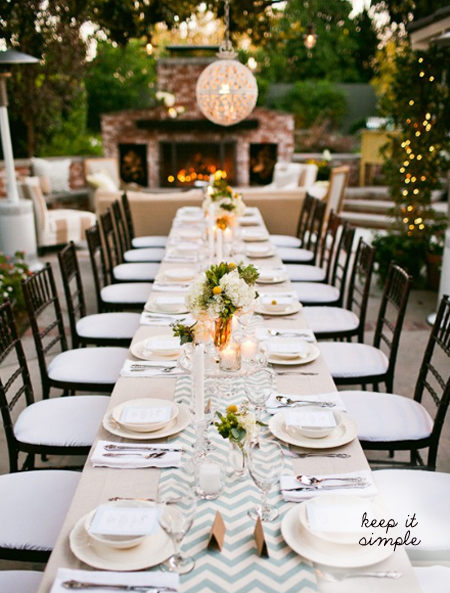 I love that chevron table runner! Works if you have an epic garden with one of those awesome pizza ovens! 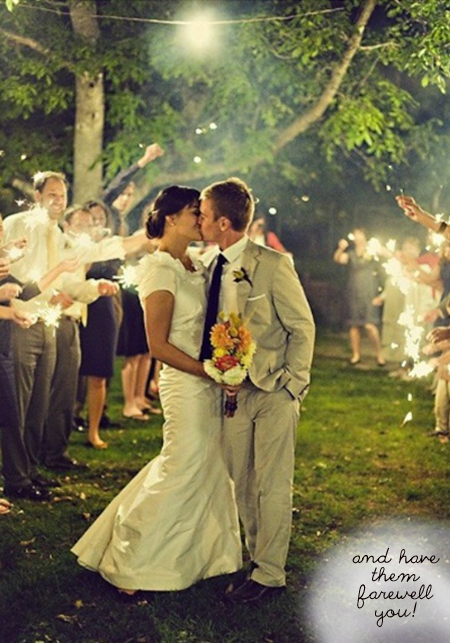 Love the idea of the sparklers as favors! amy, any idea where that wedding dress might be from, i adore it! were gonna renew our vows this summer at a vineyard and I would love a dress like that!!!! I do think hiring a wedding planner is quite necessary if you have enough budget and it's a medium or large wedding with at least 100 wedding guests! 2 Coffee Table Looks - which are you?